A friend recently visited GameStop and asked the sales person how many games he already had reserved, to which the clerk replied, "Seven". Ah, the holidays, the time when the video game industry releases more hits than we can pay for. Turns out, this year is no different. Actually, it may be worse. Every platform has at least five titles we can't wait to play, from Resistance 3 on PlayStation 3 to Gears of War 3 on Xbox 360, neither of which we'll have any time for. Why? Because we'll be up to our eyeballs in 3DS games. Nintendo and third parties have quite a few coming out, most of which look sweet. That said, make sure to put these five on your most wanted list. Nintendo kicks things off with a super impressive port of the 1997 N64 classic, but with revamped graphics, gyroscope controls and a neat four-person multiplayer mode that uses the system's internal camera to display people's faces on-screen. 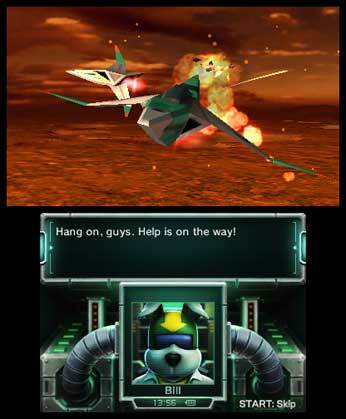 The only conceivable downside to Star Fox 64 3D? Listening to Slippy. We decided to gamble on this one, since we've had a lot of fun with early builds of EA Sports' first 3DS soccer game. FIFA 12 looks sweet, with realistic graphics, touch screen shooting (this is the most accurate FIFA yet) and a cool Street mode where the developers curved the pitch to maximize the system's glasses free 3D. We can't wait. After months of waiting, Mario will finally make his 3DS debut this fall. His latest adventure blends elements from Super Mario Bros. 3 (the Tanooki suit, airships) with cool 3D effects and plenty of surprises. We had a chance to play this one a few months ago and loved it. 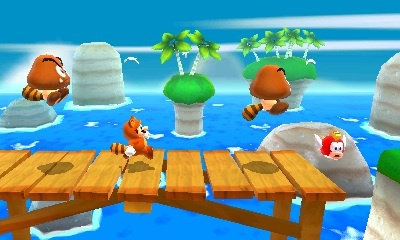 The beloved WiiWare and DSiWare hit enters the third dimension, offering a unique take on this critically acclaimed side-scrolling adventure. Of course, the content remains intact, so expect to use multiple weapons as you explore the cave's spooky interior, blasting a variety of monsters along the way. 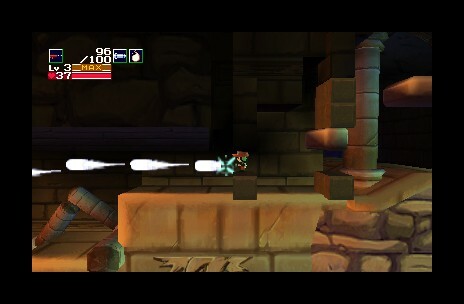 Yes, Cave Story 3D should be sweet, but wait for our review before making the purchase. Two Mario games within a month of each other? Crazy talk, but it's true. 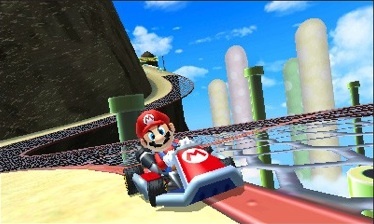 Mario Kart 7 putters its way to 3DS this winter, with new and old tracks, a variety of classic characters and the inclusion of hang gliders that let players temporarily soar through the air, collecting coins while viewing the action below. Expect this to be one of the year's biggest sellers.